Douro River cruises are from Porto, Portugal to Vega de Terron, Spain. Most trips are roundtrip from Porto, which is a coastal city in western Portugal located near the Atlantic Ocean. Vega de Terron is located about 125 miles west of Porto and is the farthest east cruise ships travel. Only one company does the Elbe effectively, CroisiEurope. On Viking, for example, you won’t cruise much, if at all. You’ll be bussed around from place to place and stay on the ship overnight. AmaWaterways pulled out from the Elbe. One Company Exits The Elbe & Another Enters: Should You Consider An Elbe River Cruise? CroisiEurope is French, family-owned and operated. CroisiEurope’s all-inclusive product impresses us with its French flair and innovative designs. The company serves up one of the best values in river cruising. But CroisiEurope is not for everyone. See my story: Is CroisiEurope Right For You? For special offers, see CroisiEurope’s website: http://www.croisieuroperivercruises.com. You can reach CroisiEurope’s U.S. call centers through email (info-us@croisieurope.com) or by phone (toll free number) 1 800-768-7232. Also popular for luxury hotel barge cruises on canals, France has rivers that course through the vineyard-canopied hillsides of Burgundy to the lavender fields of Provence and the fertile wine-producing region of Bordeaux. Perhaps the best known river in France, however, is the Seine, which flows from the Atlantic Ocean to the City of Light, Paris, with its broad boulevards, charming cafes and world-renowned museums. Po River cruises begin on the canals of Venice in northern Italy. The city of Venice is connected to the Po river through a couple of different waterways. So a cruise on the Po River is always combined with the canals of Venice and the Venetian Lagoon. Though some cruises operate between Basel, Switzerland, and Amsterdam, in the Netherlands, or Dusseldorf, Germany, the most popular section of the Rhine is between Mainz, at the confluence of the Main and Rhine, and Cologne. The Rhine has many tributaries, the most important for cruisers being the Main and the Moselle. The Main is one of the Rhine’s most significant tributaries. It, along with the Main-Danube Canal, connects the North Sea with the Black Sea. The Moselle is regarded as the most beautiful — and perhaps the most romantic — of the navigable European rivers. Rhône River cruises in France are between Lyon and Avignon or Arles. Many packages also include the Saône River, which joins the Rhône in Lyon. 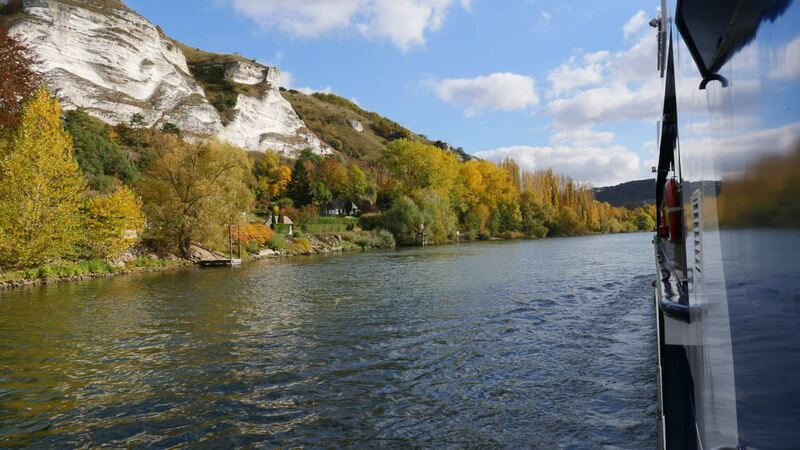 A cruise that combines both rivers usually begins or ends on the Saône River about 80 miles north of Lyon in the city of Chalon-sur-Saône. What’s the Best Choice For A Rhine River Cruise? Asian river cruises offer a mix of destinations and diverse ports where the settings range from bustling cities to bucolic rural countryside. Asian river cruises give passengers opportunities to sample myriad experiences that would be much more difficult to do on a land tour of the region. Traveling on the rivers also allows passengers many chances to indulge in local cuisines, interact with ancient cultures, witness awe-inspring landscapes and explore regions dating back thousands of years. What is the status of the river levels and the extent of disruption to cruises AMD to BUD?